TVD wallpaper ღ. TVD wallpaper ღ - Season 4. 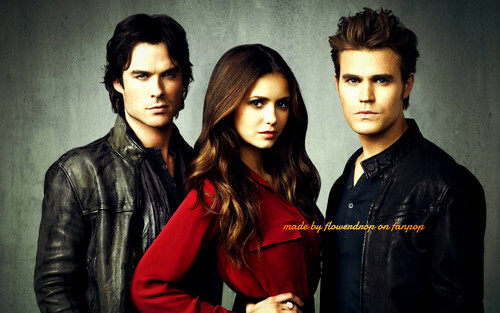 HD Wallpaper and background images in the The Vampire Diaries club tagged: photo tvd the vampire diaries season 4 wallpaper wallpaper <3 2014 elena gilbert damon salvatore stefan salvatore bonnie tyler jeremy caroline the vampire diaries wallpaper. This The Vampire Diaries wallpaper might contain ben vestito persona, vestito, vestito di pantaloni, tailleur pantalone, pantaloni tuta, tuta, persona ben vestita, indumento esterno overgarment, mantello, indumento esterno, capispalla, overclothes, and capospalla.